I am really excited about this post today, I am such a fan of fairy tales and we are getting so many great re-tellings these days for both adults and children. 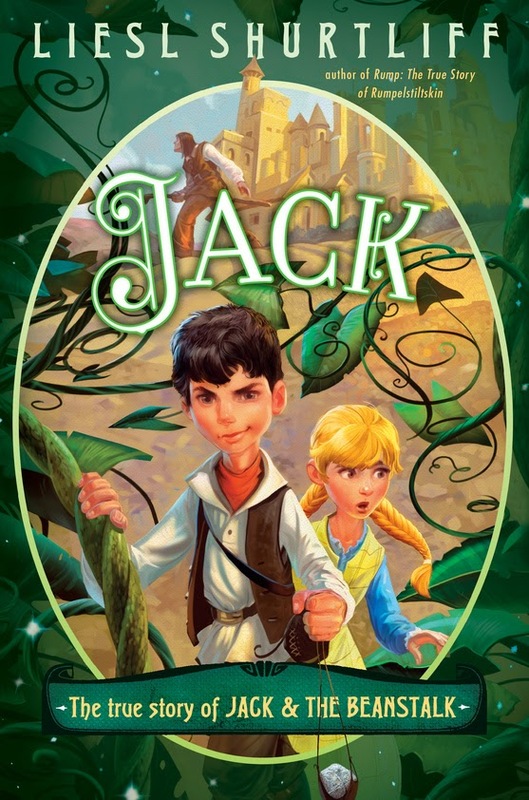 Jack: The True Story of Jack and the Beanstalk is one book I am anxious to get my hands on and one I know that my middle grade reader will love. When I got asked to join in on the blog tour you can imagine my excitement. I was lucky enough to get the chance to ask author Liesl Shurtliff to join me in doing a Guest Post for the blog. So I posed these two questions to her: What impact did fairy tales have on her growing up and as a writer, and if she hopes that these fun re-tellings and new stories based off of fairy tales will bring readers back to the original stories. My childhood was one immersed in fairytales. Before I learned to read independently, I watched Shelly Duvall’s Fairy Tale Theatre with the dramatic interpretations of many of the most well-known fairytales and legends. We had recordings of famous ballets like Cinderella, Sleeping Beauty, and Hansel and Gretel. I loved Stephen Sondheim’s Into The Woods starring Bernadette Peters as the witch and it remains my favorite musical to this day. And of course I loved the Disney fairytale movies. I dressed up like a princess. I loved to twirl to Tchiakovsky’s Sleeping Beauty in the living room. I pretended to make brews and potions while camping with my family in the woods. I imagined I could talk to animals. At some point I picked up a volume of Grimm’s fairytales, given by my grandparents one Christmas. Here I delved into more obscure tales like One Eye, Two Eyes, and Three Eyes and The Three Spinners, but I also revisited some of the more famous tales like Snow White and Cinderella and came to know how differently they’d been portrayed in many books and movies. It didn’t seem to bother me. It felt like finding something both familiar and new, and I think it was this feeling that brought me back to fairytales as a writer. There is a power and flexibility in these tales that lends themselves well to various themes and messages. They’re cultural markers. Most people are familiar with the stories, but even if they aren’t, they undoubtedly know the symbols and motifs. If I say glass slipper, red cloak, poison apple, your mind invariably thinks Cinderella, Little Red Riding Hood, and Snow White. That’s powerful! Though our social norms and cultural practices have changed over the years, these markers remain steady. As a writer, I have used these tales not just for the sake of showing a new way to look at that particular story, but a new way of looking at the world. I take the familiar and show you how it can become new. Jack has always been told that giants are not real. But if that’s the case, how do you explain the huge, foot shaped pond in the yard, or the occurrence of strange and sudden storms in which the earth quakes and dirt rains from the sky? When his father is carried away in such a storm, Jack gives chase in the only logical way: by trading the family cow for some magic beans that will give him access to a land beyond the clouds. He arrives to find that the giants themselves have giant-sized troubles. With the help of an overachieving little sister, a magic goose and a chatty cook (who is not interested in grinding human bones into bread, thank you very much!) Jack sets out to save his dad and save the day. "If you want your children to be intelligent, read them fairy tales. If you want them to be very intelligent, read them more fairy tales." So take a moment to check out Jack, make sure to add it to your TBR and as always thank you for stopping by. Huge THANK YOU to Liesl Shurtliff for being willing to answer my rather open-ended question and for bringing us back to the joy that is Jack and The Beanstalk. Liesl Shurtliff was born and raised in Salt Lake City, Utah, with the mountains for her playground. Just like Rump, Liesl was shy about her name, growing up. Not only did it rhyme with weasel, she could never find it on any of those personalized key chains in gift shops. But over the years she’s grown to love having an unusual name—and today she wouldn’t change it for the world! 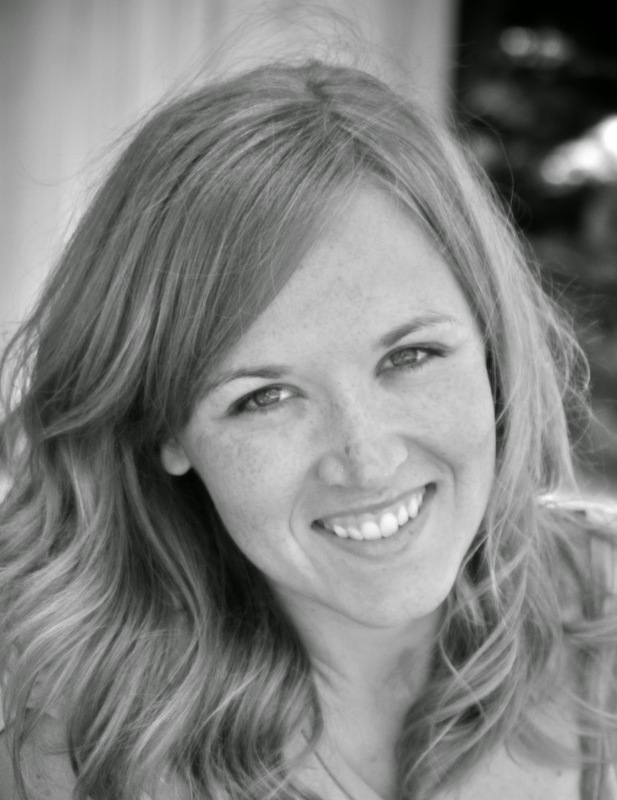 Before she became a writer, Liesl graduated from Brigham Young University with a degree in music, dance, and theater. She now lives in Chicago with her husband and three young children, where she still dreams of the mountains. Rump is her first novel. Cora Carmack - Special Announcement! The Bet - Excerpt and One Day Sale!